JT is a colorful character. So colorful, he is joining the United states Marine Corp this spring. I wrote a recomendation letter on his behalf. 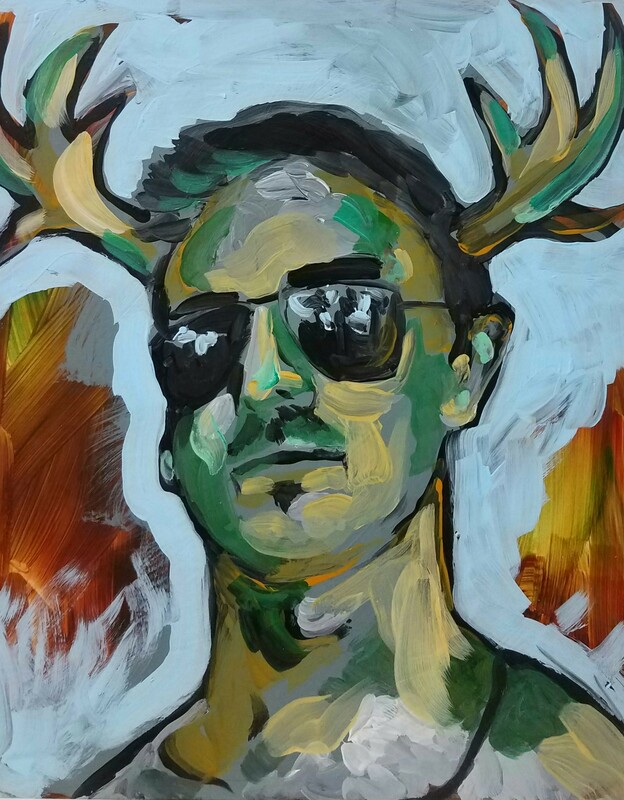 I think this painting catched him in the act of growing his own antlers and feeling his way through adolescence to manhood.